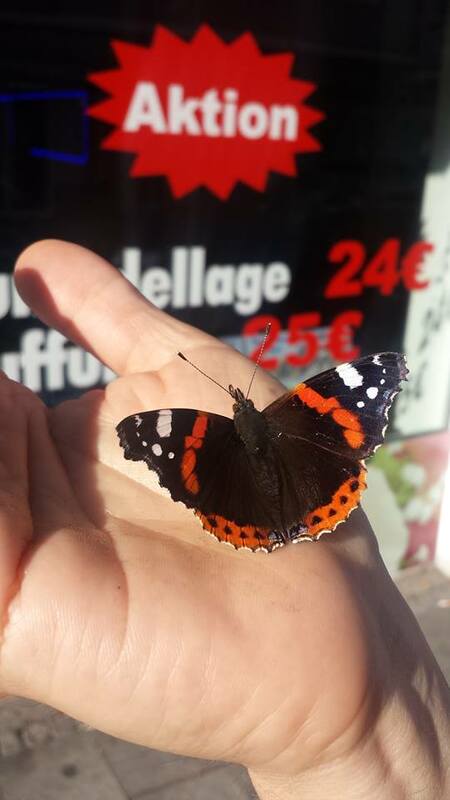 Find a butterfly and become one yourself. 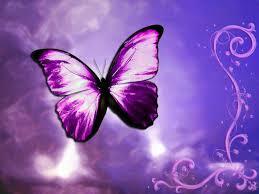 The butterfly has long been the symbol of change, both in the scientific and spiritual worlds. Butterflies begin life in a form that bears no resemblance to their eventual appearance. The beauty that eventuates after the change happens is both breathtaking and spectacular and the sight of a butterfly inspires joy and happiness in people in a way that a caterpillar does not. While a caterpillar will usually repel people with its perceived ugliness, a butterfly will attract attention because of its delicate structure and stunning colours. In the same way a butterfly attracts positive reactions in people, so too can a spiritually awakened person who sees the blessings in everything around them. This kind of person accepts people for who they are and has a kind, warm and welcoming nature that makes people feel comfortable and at home. The way a spiritually awakened person thinks, speaks and acts will generally be of a much higher vibration than an unawakened person. People who have not yet awakened to their own spiritual self are generally a lot less aware of the impact that their negative thoughts, words and actions may have on the world around them. Like attracts like, so people who live and interact with harsh words and actions will bring about a reality that is stark in comparison to that of a person who is kind-hearted and generous to others without expectation or need of reward. To become awakened, one must raise their consciousness to a higher level; to do this one must be mindful of their thoughts, words and actions and work hard to temper their ego. The awareness of self and of how one reacts to others is a necessary step to allow one to see the world with love and compassion rather than with judgement and condemnation. When one can see the journey of another as spiritual growth rather than human transgression, the absence of judgement will lead to an ability to see the world with unconditional love. Awakened souls hold a willingness to serve others for the greater good that transcends their own needs. In treating others with love and respect, the flow on effect is to inspire gratitude and appreciation from those with whom they interact and a lightness of heart that is infectious. These people will find others drawn them because their hearts are full and radiate a love and warmth that attracts people like a moth to a flame. They are likely to meditate and to practice mindfulness and be spiritual practitioners, but they are just as likely to be Christians, Buddhists, Muslim or Hindu or other of religious faiths. Whatever their race, creed or religion or lack of it, an awakened soul is one who has learnt to love and accept themselves and, in doing so, needs no other recognition of self. Every thought goes out into the human collective consciousness and the ratio of negative to positive emotions can have either wonderful or catastrophic influences on the events of the world and on the way people interact with one another. Every positive change a person makes to the way they think, act and react has a direct affect on other people through our connected consciousness. The power of a thought can never be underestimated. Every thought creates form and enlightened or awakened people are generally more able to temper their thoughts and to recover from disappointment and dramatic interactions with others more easily. As the light in one person’s heart grows to allow them to operate from a place of love and service to others, those who have not yet reached this state will find themselves attracted to and influenced by these people’s non-judgemental ways and positive attitudes. They may even begin to find that their interactions help them to see the other side of the coin and to see the blessings in life rather than always focusing on the negative aspects. They begin to emerge from their caterpillar state into a butterfly and then their demeanour begins to rub off on others. What a wonderful cycle to perpetuate for the ascension of the world. Be that person. Be the beautiful butterfly who, by changing your thoughts from negative to positive, can create happiness and harmony around you instead of drama and tears. Be kind and grateful instead of blaming others for your misfortunes. Take responsibility for the choices you have made and begin to think more carefully about the ones you make in the future. Learn to accept others for who they are instead of criticising and judging them…. and soon you will find that they will do the same for you. Bit by bit, thought by thought, create change in your world. Read, meditate, grow. Find a butterfly and become one yourself. That is how it works.